We love banana bread. It’s a good way to have a snack for a few days. It’s kinda healthy (fruit inside!). It’s very simple and quick to make. I find this recipe perfect. Preheat the oven at 350 degrees Fahrenheit (=180 degrees Celsius). Melt the butter and mix in the sugar. Add the eggs. Add the flour, which has been formerly mixed with the baking powder, and then the mashed bananas. Bake for 30 to 35 minutes in the oven at 350 degrees Fahrenheit (=180 degrees Celsius). 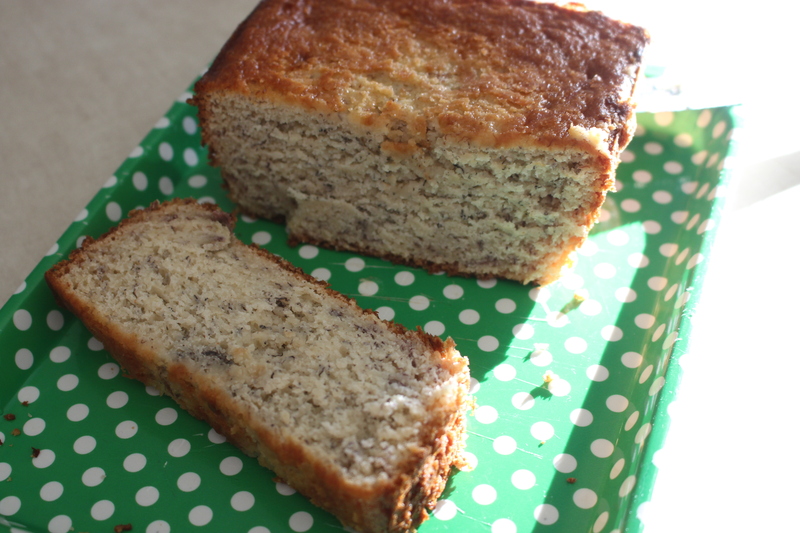 You will get a moist and tasteful banana bread for the next 4-5 days. (Keep it in the fridge if your room goes above 22 degrees Celsius and in aluminum foil). Enjoy!